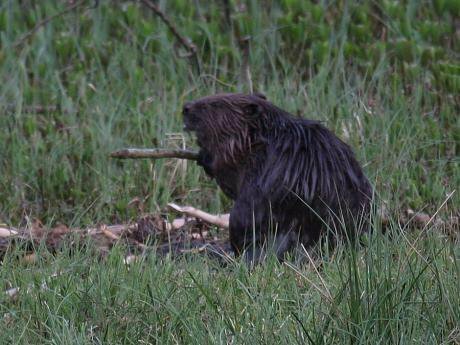 The Scottish government is consulting on whether to let reintroduced beavers stay. Beavers were extirpated from Scotland by about the 16th century. Our ancestors hunted them for their pelts and for castoreum, a secretion that contains natural aspirin. They were so valuable that as soon as they had more or less wiped out the species across Europe they started on their North American cousins, founding fortunes on their furs. In fact, the vast amounts of money made by the Hudson Bay Company’s slaughter of beavers and other fur-bearers provided a significant part of the capital that funded the industrial revolution. After a discussion that began in 1994, and a consultation in 1998 European beavers finally arrived back in Scotland in the early 2000s, by which time around 22 other European countries had already reintroduced them. I got interested in beavers through the enthusiasm of my husband Paul, who campaigned for their return from the early days, when reintroduction was first discussed. In the event they arrived back in Scotland by a number of means. First, some escaped from a wildlife park in 2001. Then, in 2002 we got some for a demonstration project on our land in Perthshire, and some other landowners did the same. In 2009 an official trial project got underway in Argyll and meanwhile, as the years went by and the enclosed beavers bred and reached dispersal age, it seems likely some must have been flooded out or in, in the exceptionally wet years that followed, and bred with the other escapees in the catchment. By 2010 SNH had decided that the unofficial ones should be rounded up and “put in zoos” and we started a campaign on Facebook and Twitter to allow them to remain in the wild. With such delays to the official reintroduction, and its reduction to a small trial on a remote peninsula, and such ongoing opposition from certain quarters, it just seemed wrong to extirpate this native species for a second time after they had more or less reintroduced themselves. Just as their recapture was being proposed, the official trial in Argyll was finally getting under way. It seemed unreasonable that they should be celebrated in one county while being demonised in the next. With a combination of popular support and negotiation we won the day. The beavers also helped their own cause by breeding and spreading widely about the catchment. Instead of being trapped out they were to be monitored and assessed. A year later SNH estimated that there were about 145 in the Tay catchment, and they were healthy. Although the species is protected under the EU Habitats Directive when “established in the wild” & “in its natural range”, they were still not protected in Scotland and are still unprotected as I write. The government argued that the fact that they had not arrived by without human agency, and were not part of an official reintroduction disqualified them. Even the official trial ones in Argyll are still not protected. Beavers are a good thing. Not only are they are a lost native species, part of our ecosystem, but they are a keystone species extraordinaire. As they spread about our land we could see what remarkable things they could achieve in a very short time. Today, just 16 years since they came they have built about 40 dams on our land. Some of them are more than 5 feet high and one is more than 100 metres long and they hold back tonnes and tonnes of water. They really have done their job as wetland engineers beyond all expectations, and aspects of this were measured by researchers from Stirling University over 12 years with results published in 2017. The trees they cut often coppice abundantly later. Wetlands absorb agricultural run-off, mitigate flooding and drought, sequester carbon, and multiply biodiversity by providing habitat for invertebrates such as bees, amphibians, fish, wetland birds, otters, water voles and much else. Wetlands are the kidneys of the landscape. In the UK we are heading for the dialysis unit because we have lost so many of our kidneys through farm and urban drainage. But in spite of this their return has been consistently opposed by many farmers, landowners and fishermen and their organisations. In the uplands, on the other hand, beavers are usually much more popular. 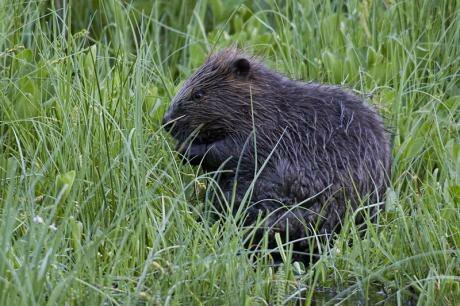 Wildlife watchers love them and they support ecotourism businesses – people book overnight accommodation just to be near a beaver wetland, and in the hope of seeing a beaver. Hundreds of visitors come every year to wait and watch for the awe-inspiring sight of a sleek mammal sliding across a pond at dusk. Now that we are in 2018, 24 years after we first thought about it, 17 years after the first escape into the wild, 9 years after the start of the official trial, 3 years after the trial and monitoring report was handed in, and over a year since the government said it was ‘minded’ to allow the beavers to stay, a consultation paper has gone out to see if people want beavers to be allowed to remain in Scotland. It is fair to assume that the NFUS and probably some salmon fishing organisations will be encouraging their members to participate against the beavers. We cannot afford to be complacent. We need as many people as possible to participate on the beavers’ side. Please help the beavers to stay, and be legally protected, by responding to this consultation before 6th March. Scottish Wild Beaver Group have read the paper and digested it for you. (It is lengthy and technical). You will find our guide to filling it in makes it very simple, but of course you must write whatever you feel is right.